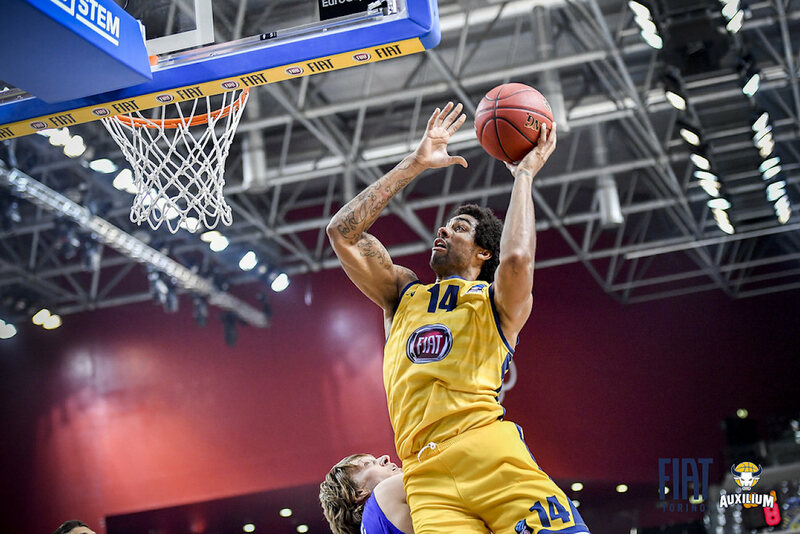 Mornar Bar captured its maiden victory in the 7DAYS EuroCup by winning on the road 80-84 against Fiat Turin after giving up a 15-point halftime lead. 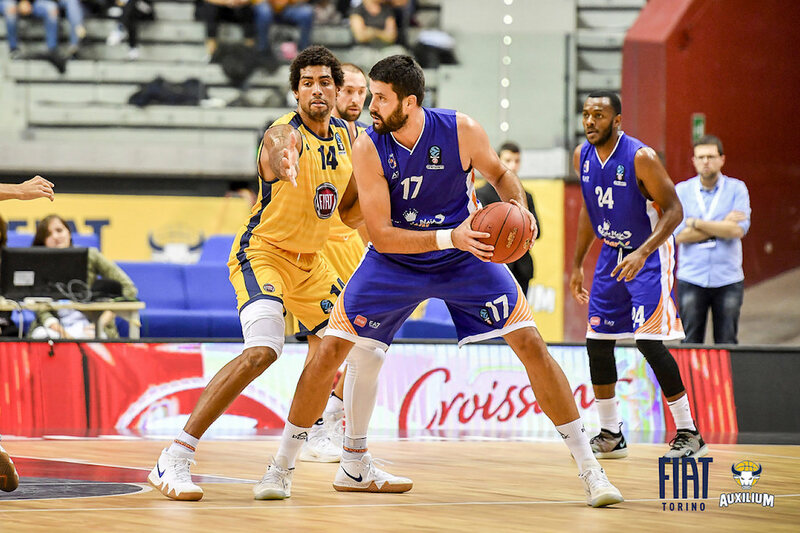 Uros Lukovic paced Mornar with 19 points, 13 rebounds and 2 blocks, while Strahinja Micovic scored 13 points, Nemanja Vranjes 12, Antabia Waller 11 and Bronson Koenig 10. 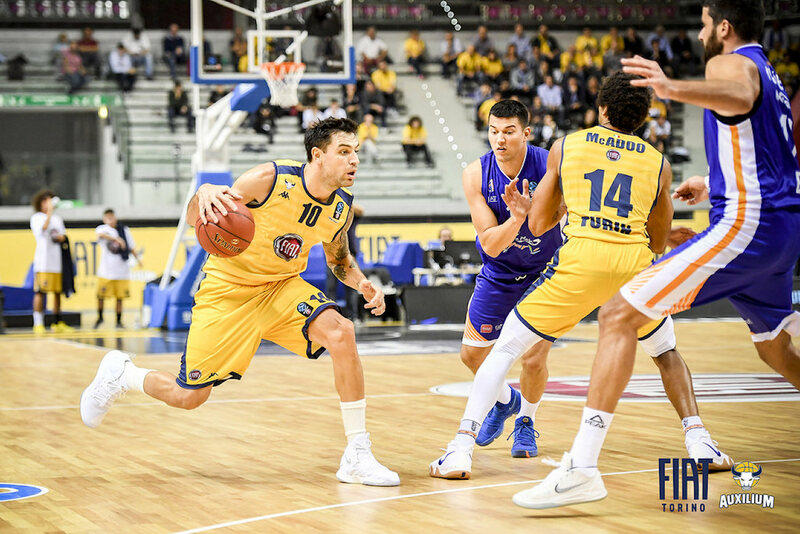 Nikola Rebic scored all 9 of his points in the fourth quarter for the Montenegrin champs, which improved to 1-1 in Group D. Turin dropped to 0-2 in the group despite Tyshawn Taylor's 23 points and 7 assists. Jamil Wilson added 14 points in defeat. Mornar jumped ahead 2-10 and 12-19 thanks to three-pointers from Koenig, Vranjes and Micovic. Taylor was the main force at the other end with 2 baskets and an assist evening the score at 19-19. It was 23-23 after 10 minutes. Marko Mugosa and Waller were on target from long range in the second quarter for Mornar in building a 27-38 lead. Wilson had a three and a three-point play to keep the deficit at 40-50, but the visitors scored the final 5 points of the first half to lead 40-55 at the break. 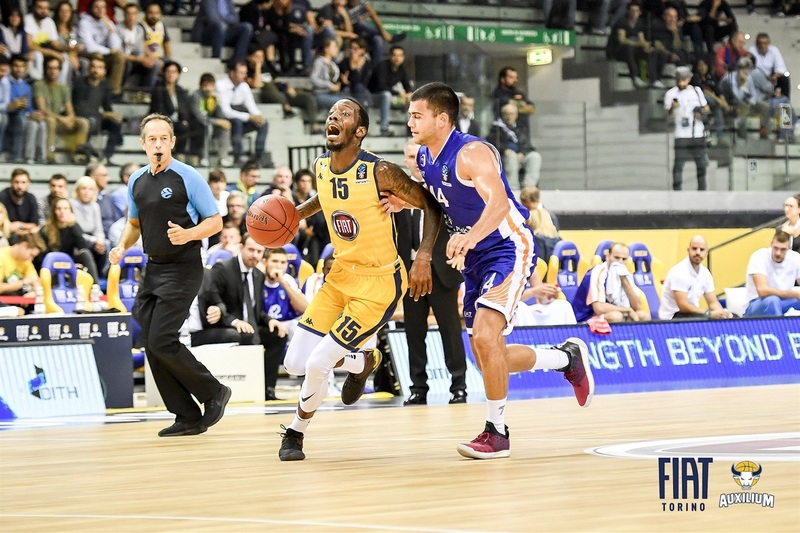 Turin came out with some hard-nosed defense, allowing just one basket in the first 8:44 minutes and Taylor scored 9 points in a 20-2 run that gave the hosts a 60-57 lead. Lukovic got a put-back and then Waller hit a three and Mornar was up 62-64 after three quarters. 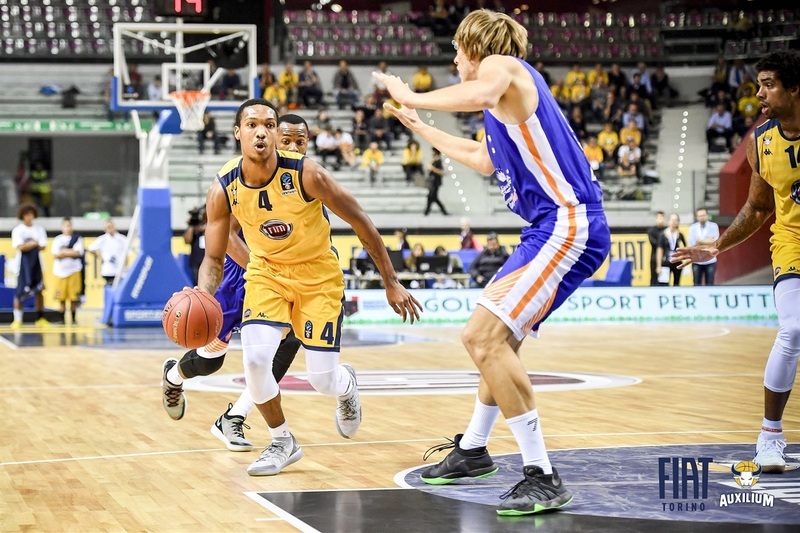 After three lead changes to start the final frame, Turin was able to open a 72-66 lead. Mornar did not crumble and a Micovic three evened the game at 74-74. 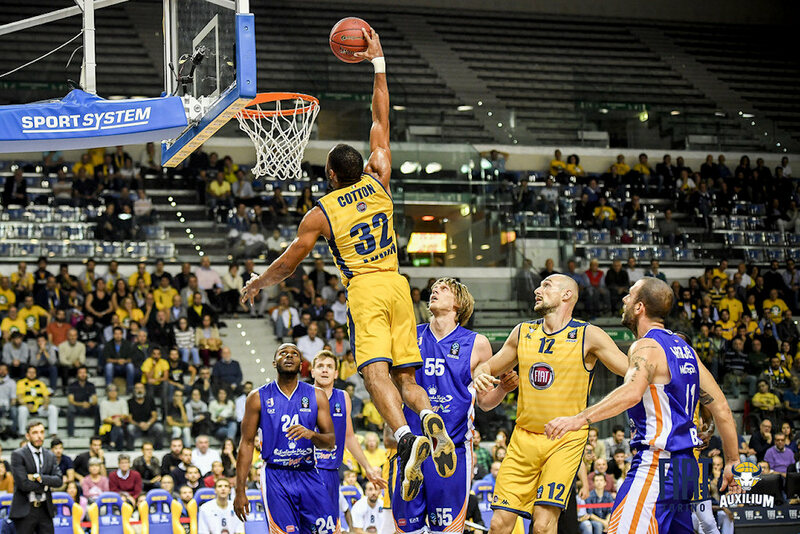 The guests went down 80-77, but held Turin scoreless for the final 1:44. 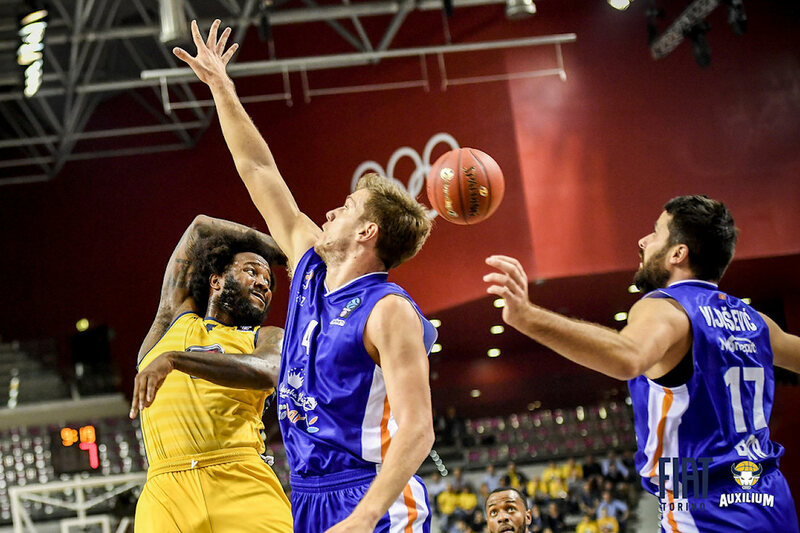 Vranjes hit a three-pointer with 1:02 minutes left and Rebic finished off the game with a key three with 18 seconds to play. 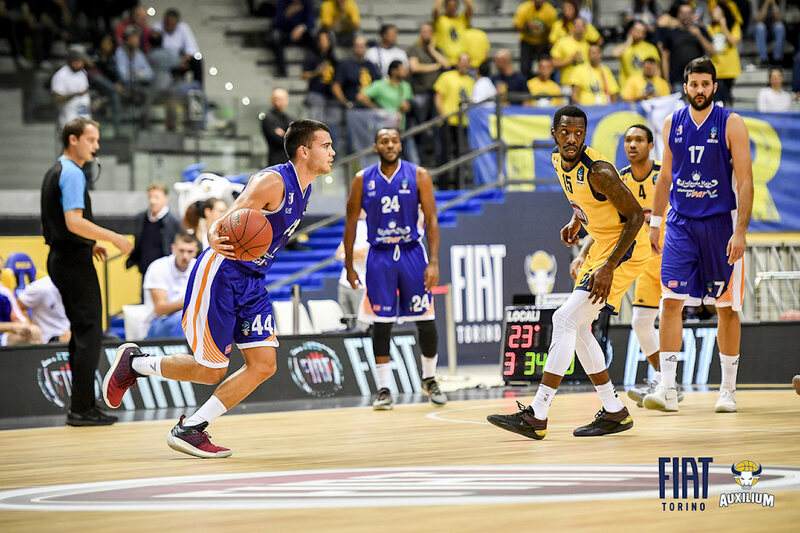 Mornar lost last week in its 7DAYS EuroCup debut, but the Montenegrin champion got the job done on the road in Turin. Mornar won the game without its head coach Mihailo Pavicevic, who was absent from the game after dealing with the death of his brother. 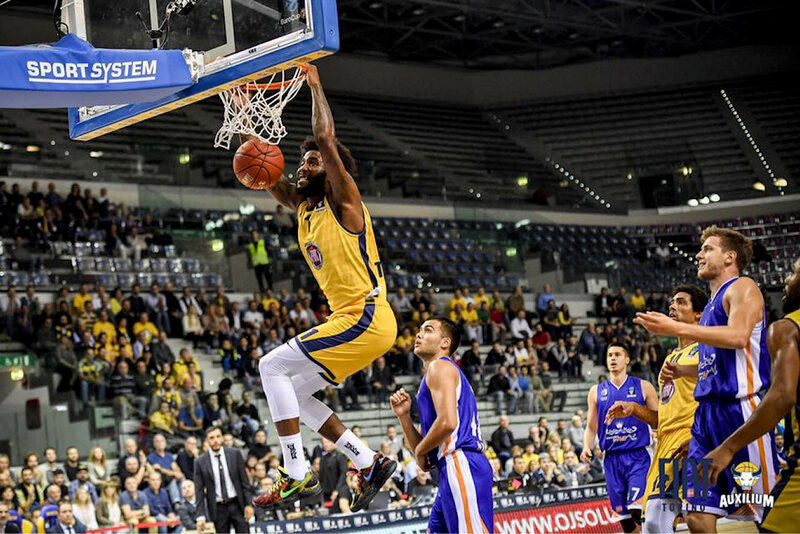 Turin was playing the game without its famous head coach Larry Brown, who has left the team temporarily for medical reasons and was replaced in the interim by assistant coach Paolo Galbiati. 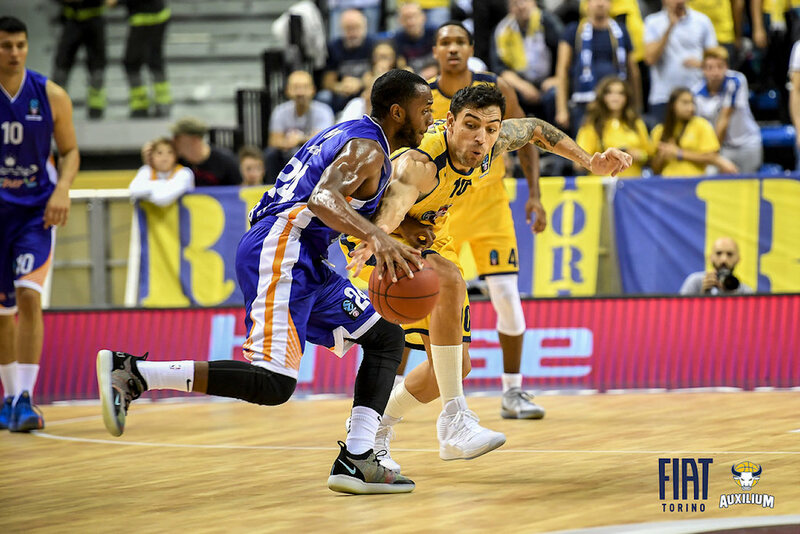 The fourth quarter went back-and-forth - with eight lead changes and three ties, but Mornar finished strong with Nemanja Vranjes hitting a three-pointer with 1:02 left to give his team the lead. That set up Nikola Rebic's triple with 18 seconds left to ice the game. 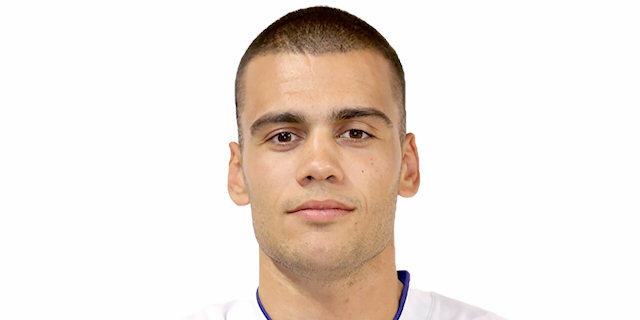 Uros Lukovic was key for Mornar, hitting 7 of 12 shots and 5 of 6 free throws for a team-high 19 points to go with 13 rebounds as well as 2 blocks - one with 50 seconds remaining in the game. After losing its second straight game, Turin will head to Russia looking for a win with a road contest against UNICS Kazan. After making history with its first EuroCup win, Mornar shoots for two straight in a home game against Unicaja Malaga. "It was a great game for us and such an important win. We played together and in the end we showed the character and I think we deserved this win. From the beginning we started very well. We knew they would attack us in the second half, but we stayed together and won the game."